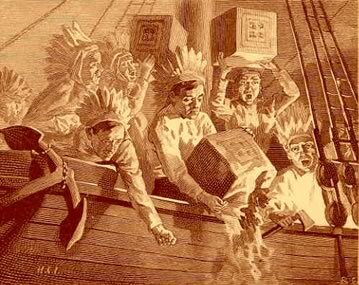 On December 16, 1773, after officials in Boston refused to return three shiploads of taxed tea to Britain, a group of colonists boarded the ships and destroyed the tea by throwing it into Boston Harbor. The incident remains an iconic event of American history, and with it came the birth of coffee in North America. In Canada, coffee, and its consumption, is a culture all its own. When we wake up - we have a coffee. When we head to work – we’ll grab a coffee. At work – we’re definitely having coffee. If we go somewhere after work – grab a coffee! After dinner (I’m so full) – I’ll have a coffee. I can only imagine what all this looks like to an outsider. So, when I came across a polite English woman (whom we’ll call Mary) I took it upon myself to ask her. “I tried coffee once,” she replied, “Tim Hortons. I don’t know what all the fuss is about.” I was taken back by her response. 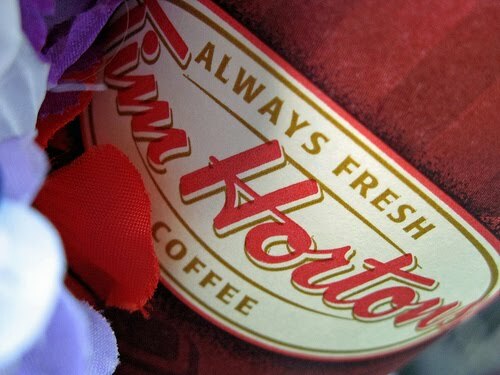 Tim Hortons, the pride of Canadian coffee, is disliked? Mary went on to say that coffee appeared to be some sort of security blanket – we always have one with us. In England, coffee isn’t the same. So of course I chime in, “Oh I forgot! In England it’s all about tea time!” I quickly found out, such is not the case and without realizing it I was being very stereotypical. Mary explained that while she has fond memories of Tea Time with her Grandparents as a child – not everyone partakes in Tea Time. Mary went on to say, if she could find England’s equal to coffee it would have to be none other than its distant cousin beer. Beer is the social drink of choice in England. In Canada, or more specifically the suburbs of Southern Ontario, we are bombarded with a small selection of restaurant chains. But, in England every neighbourhood has their own unique pub that people frequently visit. It isn’t uncommon to see all your friends at the local Public House having a pint with dinner. This caused me to think about why coffee hasn’t taken over in England like it has in Canada. First of all, there is not really any extra land for developers to build drive-thrus for people to grab their coffee. Secondly, chains don’t exist like they do in Canada and if you wanted to open a coffee shop you would have to do so on your own accord (this can become quite costly very quickly). Finally, Mary explained to me that in England people usually drink coffee every so often as a sit down drink with a friend. I can’t imagine a world without travel mugs, coffee cups or drive-thru windows. Coffee is an intrinsic part of Canadian culture and I can understand why it must seem very strange to new Canadians. I keep thinking of the commercial where the husband is rushing to pack winter jackets and warm clothes in a bag before heading to the airport. Along the way he stops to grab a coffee – “what are you thinking?” I say to myself, “aren’t you late?” We realize near the end of the commercial that he was rushing to pick up his wife and two children who are coming to Canada for the first time. He walks up to his wife and before he can hug her, or give her a warm jacket, he says, “welcome to Canada” and hands her a coffee. Coffee, and its consumption, is a way of life in Canada. An interesting post--not too long ago, I wouldn't have even claimed that coffee was part of our culture, but that like any, it was just something drunk equally in amount with tea yet available on every street corner. As culture? I'd have left that for Columbia or Brazil. Then I read an article I used in class about coffee consumption, which indicated that Canadians consume on average 4 cups per day (much aligned to your examples) and therefore was one of the largest consumers in the world. Having been largely a tea drinker, I was startled. Since, I've too become one of these acculturated coffee drinkers. Tea, though still my preference, just takes too much time to do properly and no take-out joint does it justice. Just like a sandwich tastes better when it is made by your Mom. Tea tastes better when you make it yourself. The time and consideration we put into making our own cup of tea is never matched by the "drone" employees of our local "warm drink" spot. I have had some interesting conversation about coffee since I posted this article. Do you think the number of Time Hortons in Canada outnumbered the amount of Starbucks in the USA? Or, what is the definition of consumption? I am sure we would witness children of all ages drinking coffee in countries where coffee beans are the number one export. Or, should we define consumption around the idea of consumption of a commodity that we pay an increased price for? You are an inspiration! I can't wait for your next blog.